With such a vibrant watersports industry, it comes as no surprise that there are many businesses offering professional sales and repair services. 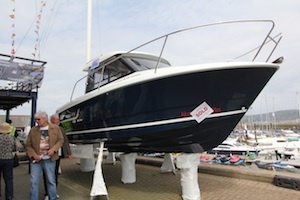 Many outlets cover new-and-used sales and repairs, while ‘repairs only’ providers offer a comprehensive mix of servicing, diagnostics, winterisation, boat modifications and upgrades, valet and storage to private boat owners, companies and the public sector. Search for sales and repair businesses here.